Detail of print at left. Aquada at rancho of Jalal, hypothetical cross-section of six of some forty wells discovered, cleared out and repaired by local inhabitants ten years previous to Stephens and Catherwood's visit, based on local reports. 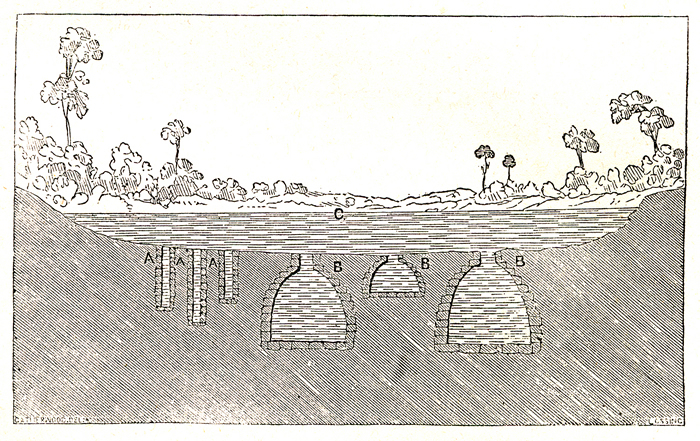 Scanned from Stephens, Incidents of Travel in Yucatan, 1843; Vol.II, p.227.